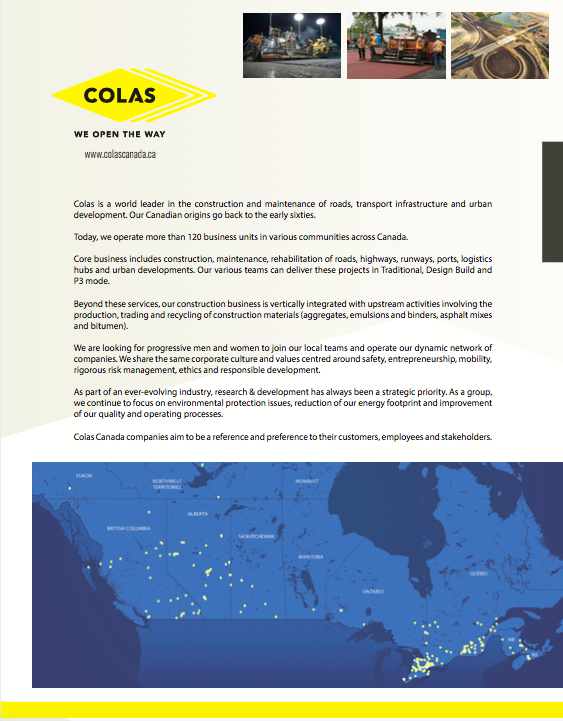 Colas Canada, Canada’s leader in construction and maintenance of transportation infrastructure, is a holding and management company with operating companies across Canada. Colas Canada is part of the Colas Group , a world leader in transportation infrastructure construction and maintenance. The Colas Group also has a network of companies in the USA. Colas Canada’s operations began in Eastern Canada in the early 1960’s through the acquisition of Fabi Ltd. In 1977, Colas ventured into Western Canada acquiring an Edmonton based construction firm. Colas Canada now has operations throughout Canada, with over 8,500 employees. The group’s core business is in road construction and maintenance which includes: Construction, rehabilitation, preservation and maintenance of roads, highways, airport runways, port, industrial and logistics infrastructure, subdivisions, urban infrastructure, parking lots and more. 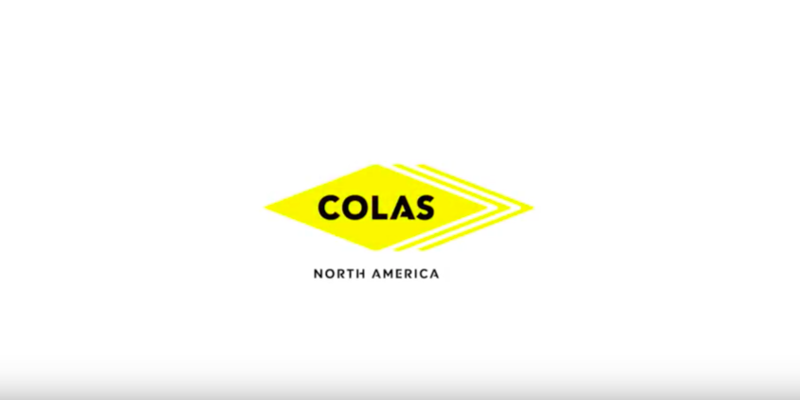 Colas Canada also manufactures and recycles construction materials primarily used for road building via an extensive national network of quarries, sand and gravel deposits, and emulsion, asphalt and concrete plants for our own use and for 3rd party sales.